Paradise Hill Farm Market Fresh tomatoes are grown by Tony and Karen Legault and family in Nanton, Alberta. The nutrients are fed to the plants along with the water they receive multiple times daily depending on the amount of sunlight the plants receive. 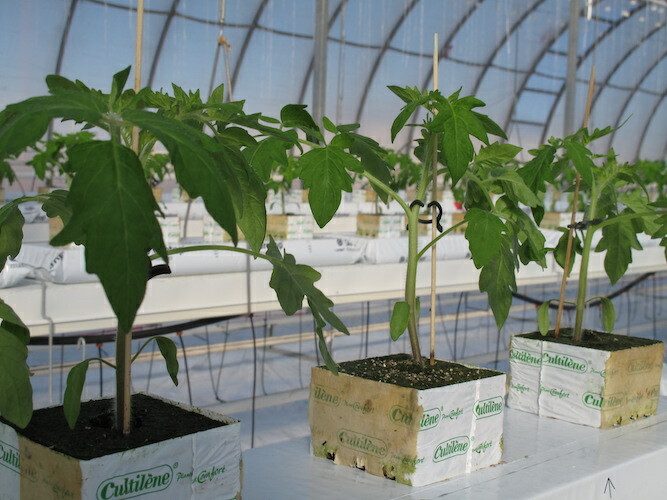 The watering and internal greenhouse environment is computer controlled to provide optimal growing conditions for our greenhouse tomatoes. Our Market Fresh tomatoes are grown without purchasing, borrowing, product testing or trialing of insectides, herbicides or biocides at our greenhouse during the annual crop cycle. We use predator insects to control harmful pests rather than applying the above products. Our tomatoes are tested randomly multiple times a year for 200+ active ingredients found in numerous pesticides either natural or synthetic. Our tomatoes are picked only when they are fully ripened by natural sunlight which enhances their flavour. The tomatoes are graded for the best quality and hand packed and delivered the very next day to your local Calgary Co-op produce department.